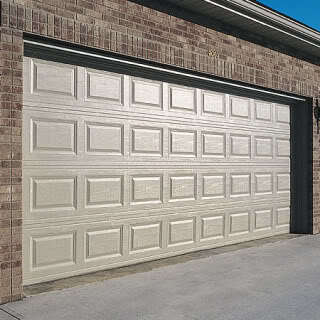 Raised-panel garage door is the type most commonly installed in the United States. 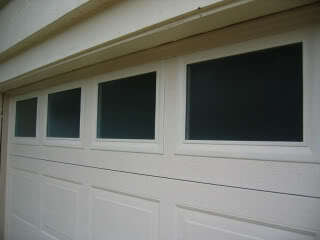 The classic style of raised-panel steel and fiberglass garage doors is extremely sturdy, reliable, and low maintenance. 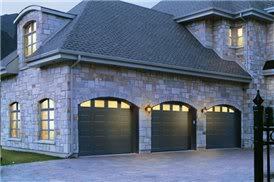 Raised-panel garage doors are essentially the standard US garage door. Raised-panel garage doors come with all of the standard options for garage doors, including windows, hardware, choice of materials, colors and more. 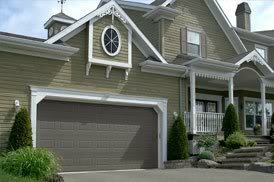 There are all kinds of design possibilities when you work with raised-panel garage doors. You can choose the number and size of panels, whether you want them running horizontally or vertically, and the length of the panels. Long, raised panels give greater depth and distinction to the door, and they add a dramatic element to the overall appearance of a home. Short, raised panels also give depth to the door. They work well on Victorian-style homes with intricately detailed trim, on the symmetrical facades of colonial-style homes and on the strong architectural lines of a Tudor home (from lowes.com). 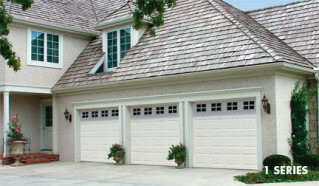 Garaga.com offers many styles, colors and panel design options for raised-panel garage doors. 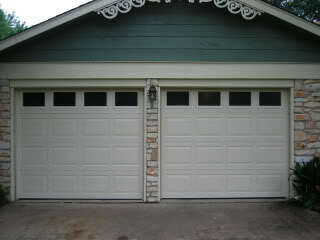 View close-up images of raised-panel garage doors from Hill Country Garage Doors. 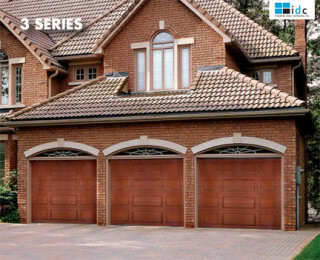 Idc doors provides many traditional and contemporary garage door choices.